The puffle cannon is almost finished. Excited crowds have been spotted at the Pet Shop waiting for the new game! "Puffle launch is going to be intense," said a game expert who worked on the cannon. "I get dizzy just thinking about it." On March 15, puffles will blast up, down, sideways, backwards - any which way there is! The all-new, state of the art cannon will send our pets hurtling through the air - while a trail of puffle O's will lead them to new levels, secrets, and challenges. "My purple puffle has been preparing mentally for weeks," said the game expert. "We are ready to get in there and earn some stamps!" Get ready to play puffle launch with ALL your puffles when it opens in the Pet Shop March 15th. St. Patrick's Igloo Contest is On! Count your lucky clovers - it's time for the St. Patrick's Day Igloo Contest! From March 11th - March 14th, creative penguins will get the chance to show off their decorating skills. Hopeful Igloo decorators should check out the new Better Igloo's catalog coming on March 11th. 20 GRAND PRIZE WINNERS WILL RECEIVE: 50,000 coins, and their name featured in the Club Penguin times. 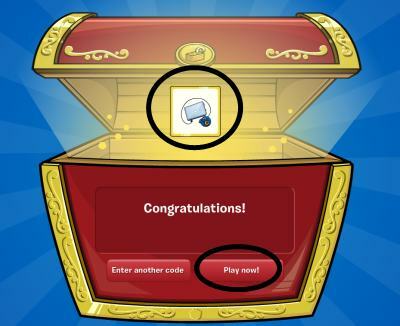 20 RUNNER UP'S WILL RECEIVE: 25,000 coins and their name featured in the Club Penguin Times. 1. Give your igloo a green St. Patrick's Day theme! 2. When your igloo is ready press the igloo sign in your igloo between March 11- March 14. 3. Be sure not to change your igloo until the judges have had time to see it.! Winners will be announced on March 25, and April 1 in the Club Penguin Times. Wow, its a lot of pufflemania!